Creativity is an integral part of Carina's life! She has always loved working with her hands—creating beautiful things out of fabric and paper. As a child she would break the needle on her mom's sewing machine making Barbie dresses, hide in the closet writing plays, and doodle to her heart's content. As an adult, she tries very hard to include beauty in her life whether with her three children, in her designs, or home. Carina has an MA and Ph.D. in Design from the University of Minnesota. She has taught Graphic Design Foundations, Typography, Design Theory, and Packaging Design for five years at the University of Minnesota. She left academics in 2008 to design full time and stay at home with her children. 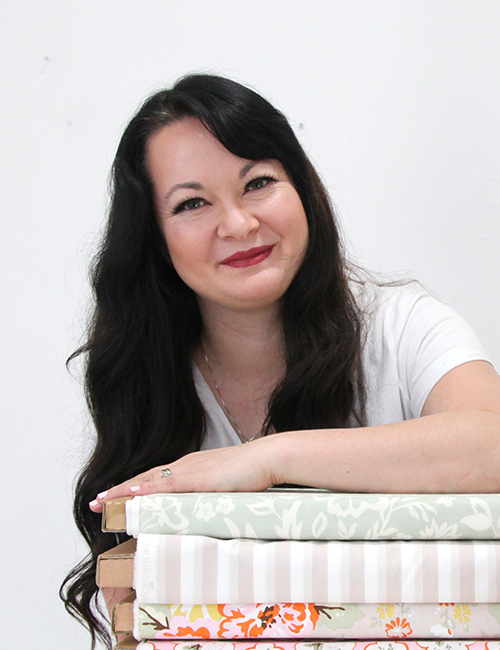 Carina currently designs fabric, children's sewing patterns, scrapbooking paper, and digital scrapbooking products. She also teaches online Illustrator classes. You can find all of Carina's handiwork at her blog and website here. Click here for a video about Carina Gardner.